I don’t know when Hone Kouka first started mentioning this project to me. Over the past 8 or so years it would come up when he was asking for small amounts of help on other theatre projects. He would say “the big one is coming”. I worked on the development season up at Victoria University in 2010 when he was pitching to festivals. 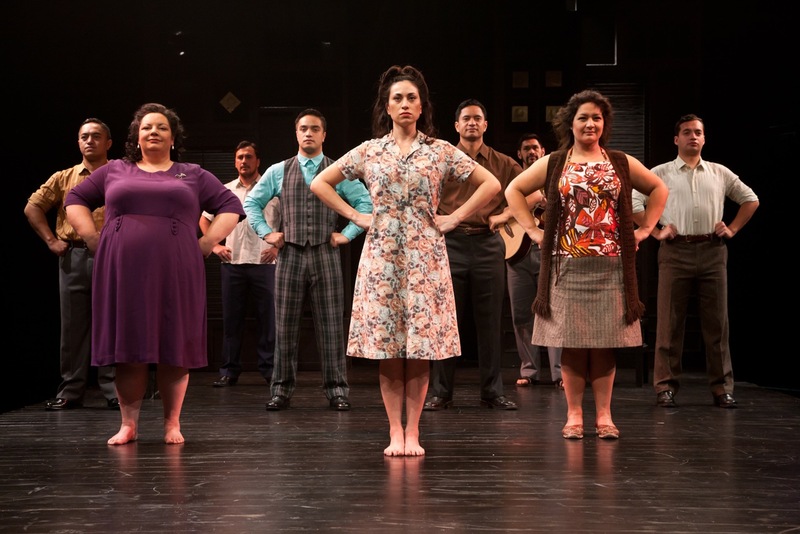 TŪ had its full theatre debut at the New Zealand Festival of the Arts in 2012, it opened to acclaim on Pipitea Marae in Wellington. TŪ returns to Circa Theatre, Wellington this Saturday 15th June before travelling to Auckland for the Auckland Matariki Festival in July. I feel like I have been a great fit for this job, I am humbled to have been sought out for it, and I have THOROUGHLY enjoyed the process of development. The design brief was left very open for me to bring my interpretation to Hone’s work and to complement exciting design from other disciplines of theatre: MARK McENTYRE – set. ULLI BRIESE – lighting. KARNAN SABA – sound. HONE HURIHANGANUI - composition. I have been extremely well supported and encouraged by a phenomenal, experienced, award winning crew. I have kept to the 40’s in the shape of garments. There is also a deliberate nod to wartime use of domestic textiles in garments. My mother has a story of an extravagant usage of cloth for a full circle skirt, but this was finally made for her in scratchy dowdy teatowelling! Candlewick, hessian sacking, cheesecloth, floral furnishings and mattress ticking - these sorts of textiles escaped the rationing placed on ordinary fabrics and were often used for new designs on a budget. There’s a subtle reference to Maori and blankets in there too. Beautiful elegant well-dressed 1940’s urbane Maoridom: Well, the cast are extremely beautiful and handsome – I literally could put them in sacks! 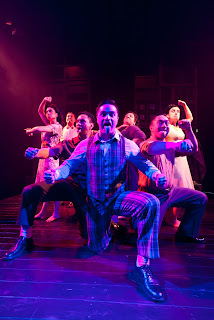 I threw in the colours of rural Maori houses of the 1970’s that I grew up amongst to give the stage glow. Spearmint, Mustard, Lemon, Lolly Pink with Ratana Purple. I also drew from time I spent as a teen with an elderly Maori Matriarch who had been a prominent member of Auckland Society. She had recognised a mutual interest in her favourite NZ designers, Kevin Berkahn and Colin Cole, and left me a small but exquisite collection of her garments and textiles which I cherish. It looks right to me – this is my interpretation for the story and these characters within a family (I have three brothers). Thank you to my fabulous staff for their support to allow me to interrupt the regular biz for this buzz. Thank you Hone Kouka and Miria George of Tawata Productions for the opportunity. 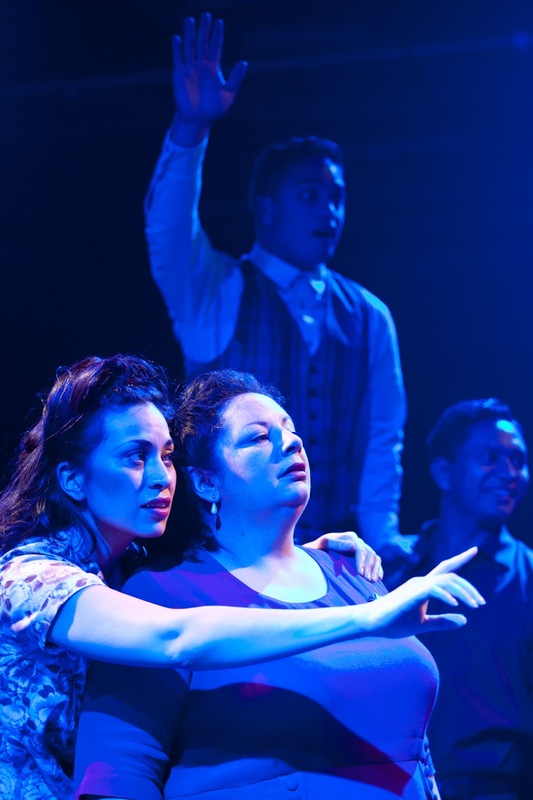 I hope after reading this you are inspired to come and see the show, to see the layers and layers of talented work that go into this show with its illustrious cast and very New Zealand family story. Clare Bowden is owner, director and co-designer of Mandatory, an independent menswear store which opened in 1997 in its current location on Cuba Mall, Wellington. The store has an international reputation for great pants! Clare first met Hone and his work (his trilogy) at the 1996 Wellington International Festival of the Arts. She has no theatre training and this is her first return to making Womenswear of any kind since 1997. To book tickets for TU, on in Circa One until 29 June, call the Circa Box office on 801-7992 or visit www.circa.co.nz.